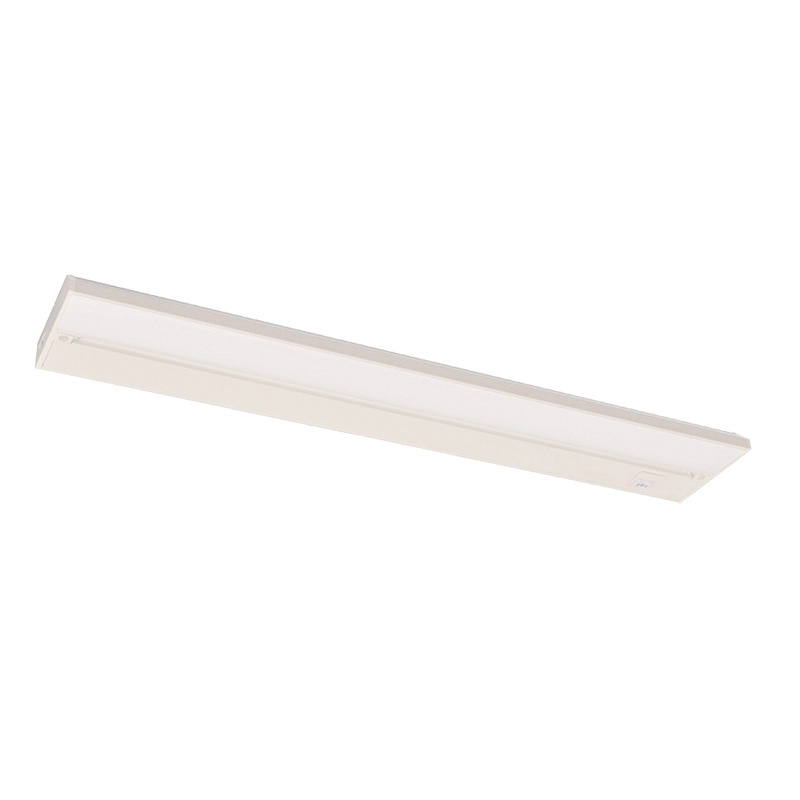 AFX Lighting Noble Pro Collection NLLP Series Line voltage LED undercabinet fixture in white finish, has extruded aluminum construction for durability. The white polycarbonate diffuser shade ensures uniform light distribution. The fixture can accommodate dimmable LED lamp that delivers a light output of 1170-Lumens, 1302-Lumens, 1310-Lumens with 2700K/3000K/4000K color temperature and 90 CRI. It has a voltage rating of 120-Volts and fixture wattage of 18-Watts. It has an average life of 50000 Hours. This fixture features triac dimming driver. It measures 40-Inch x 3-3/4-Inch x 1-Inch and has an efficacy of 72 LPW. Fixture includes 5-ft cord and plug, 12-Inch connecting cable, BX/NM cable connector, direct connector and slide switch lock. It is suitable for kitchens and study areas. Fixture includes 13-Inch connector cord or 7/8-Inch end row connector and mounting screws. Fixture meets cETLus, Energy Star and Title 24 standards.